Jane Eyre is an orphan who grows up with her unloving aunt and cousins. When she is ten she is sent away to a school where she spends the next eight years, both as a pupil and a student. Then she gets a job as a governess at Thornfield. There she meets the ugly, yet lovely Mr Rochester. Against her will she falls in love and Jane is feeling a whole lot of emotions that she has never felt before. Although Thornfield is the happiest place Jane has lived, it also has evil. 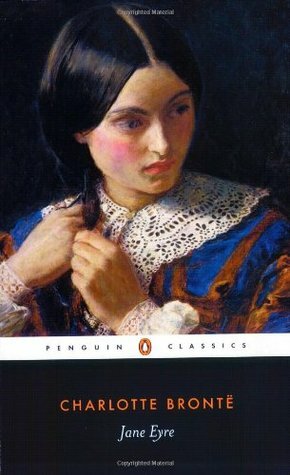 Jane Eyre got me hooked! Why haven’t I read it before? I think it was the label as a great classic and love story that scared me off. But the story is never dull, and the hints of something supernatural were more than enough to scare me. But what really amazed me was the language. Every sentence is perfect. This was also the first book I have read on my Kindle. I have been subscribing to the Spectator and Time Magazine since I got it, but haven’t bought many books as I prefer the paper. But I discovered that a lot of the classics are free, and I don’t say no to free books. Maybe I will give Jane Austen a chance now?